TORONTO, Sept. 25, 2015 /CNW/ - About one-third (32 per cent) of Toronto UberX users who also use public transit say that they've decreased their usage of TTC or GO Transit since they started using UberX. "Toronto's taxi industry is constantly being pitted against UberX as if we're the only ones that should be worried about a black-market for-hire vehicle service," said Kristine Hubbard, Operations Manager at Beck Taxi. "Our city needs to take a moment of pause to consider how the TTC and GO Transit could be negatively affected by the continued growth of a black-market taxi service." A survey conducted by Harris Poll on behalf of Beck Taxi also found that among respondents who use UberX and also use public transit, one-fourth (25 per cent) of them expect their public transit usage will decline because of UberX in the next six months. "Toronto's transit champions should ask themselves what we need to do to protect the future of public transit," said Hubbard. "It's disconcerting to hear that anyone is willing to deregulate transit and possibly put the TTC and investments in transit at risk. What will happen when Uber decides to provide cheaper transit services on popular TTC routes?" In recent months, Uber has been trialing a "smart routes" service in San Francisco that has been compared to a bus service in media reports. The service discourages transit use by attracting Uber customers to travel along specific routes like a bus, for a competitive price. Toronto has the highest number of taxis per capita compared to any other city in North America. In order to protect and strengthen public transit in Toronto, Beck is calling on councillors to think carefully about allowing an unlimited number of UberX cars on Toronto's shared roads. The survey was conducted online by Harris Poll on behalf of Beck Taxi among 702 adult residents of Toronto familiar with Uber, of whom 116 use UberX and public transit, from Sept. 4 to Sept. 10, 2015. The survey data are not weighted and therefore representative only of those surveyed. Beck is a family-run business that has operated in Toronto for 49 years. 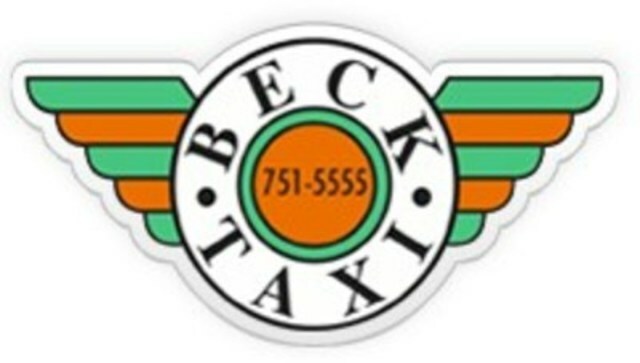 Beck dispatches to the largest fleet of taxis in North America with over 2,000 available cars operated by professionally trained, licensed and commercially insured drivers. For the past 20 years, the organization has been the proud recipient of the Toronto Sun Reader's Choice Award for Favourite Taxi Company in Toronto.